The shell is made of high-strength engineering plastic PA+GF injection, Improve the accuracy of PA shell while enhancing the strength and heat resistance of the shell. Lampshade adopts injection of PC, it has good light transmission, high definition, light texture, impact resistance and not easy to break. Lens hood adopts good quality stainless steel. The signal light have the whole seal structure, it is waterproof under the bad environment. 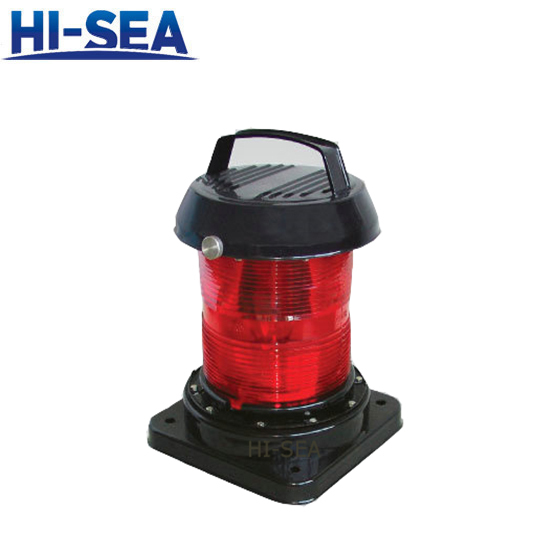 The signal lights adopt the signal LED light source of ship rule and regulation. LED lamps have a lifespan more energy saving and electrical efficiency which are several times greater than incandescent lamps, and are significantly more efficient than most fluorescent lamps. It can replace bulb when open up cover. The sifnal lights can work normally under the temperature -30℃~50℃. Conform to the international regulations for preventing collision at sea, 1972 and Grade entry norms for steel ships. 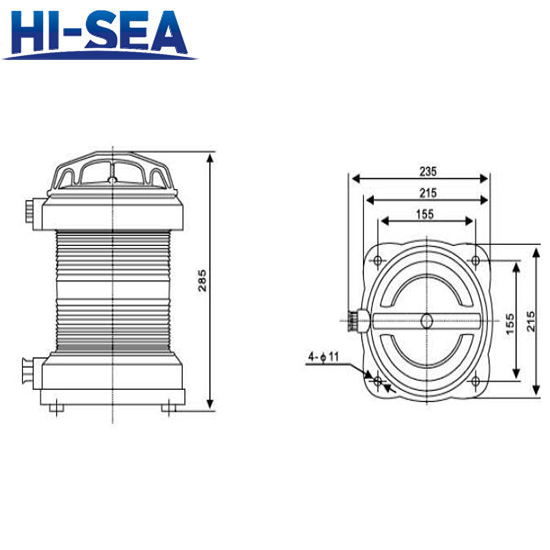 Confirm to the standard of marine electric signal light's technical condition GB/T3028-1995. Conform to the international standard IEC.